Elevation : No Information available. Population: The Total Urban Population of Golmud City is around - no information available - with an additional - no information - living in the rural area's of the City Prefecture. A Full listing of Golmud City Landmarks, Monuments, Hotspots and other sites of importance in alphabetical order. Search through the list to find your Full Report and Photo-Virtual Tour of each monument or landmark within the City, or Region of Golmud in Qinghai Province of China (PRC). The Main and only Railway Station of Golmud is located almost in the center of Town. 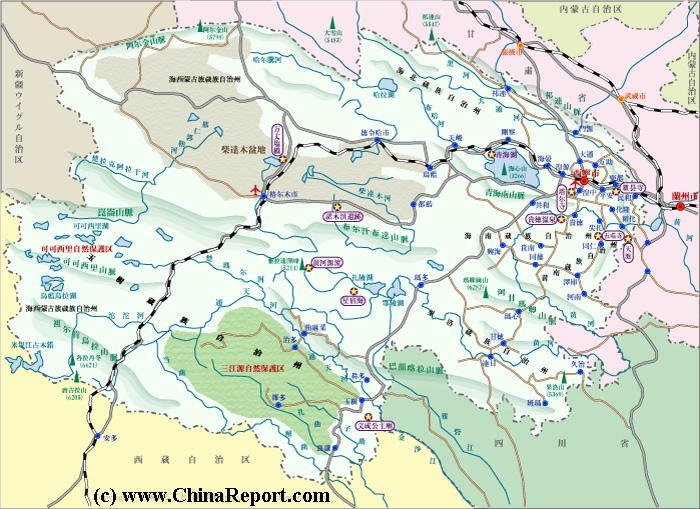 It is part of the Beijing to Lhasa railway, whoch connects through Lanzhou, Xining and Delingha to Golmud and than via Amdo to Lhasa beyond. 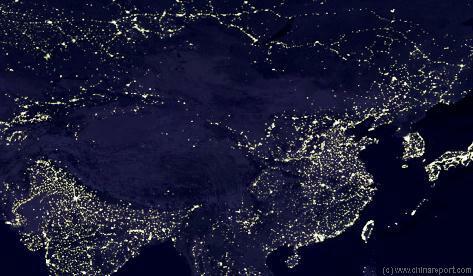 Several new branches of that line centering on Lhasa are under construction within the Tibet Autonomous Region. Golmud has a Railroad Station as well as a National Airport. There is no information available on the History of Golmud at this Time. Religion & Politics in Tibet? Film about the Life of dissident Monk Gendun Choephel. 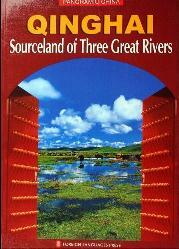 "Qinghai, Sourceland of Three Great Rivers"
There is no information available on Climate and weather in Golmud at this Time. 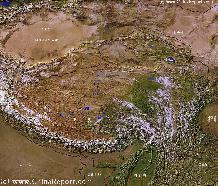 Please check: 'Climate and Weather in Qinghai Province'. There is no information available on the Ethnic Minorities in Golmud & Prefecture at this Time. There is no information available on Hotels and Accomodations in Golmud & Prefecture at this Time. 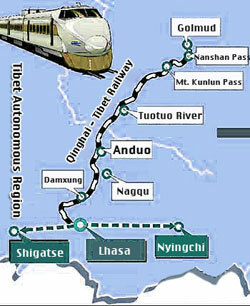 A small scale schematic depicting the main obstacles and stations between Golmud and Lhasa in Tibet (both Qinghai and Tibet AR).